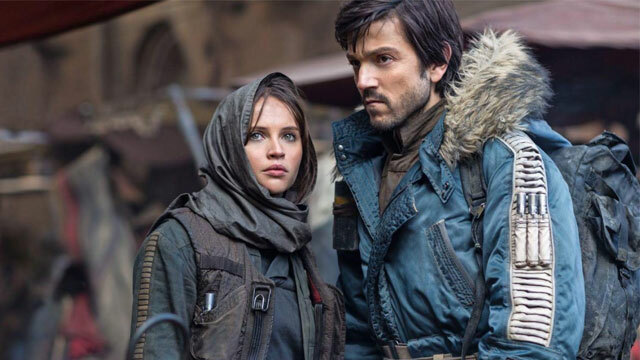 Rogue One is everything you’d expect from a Star Wars prequel; this is not a compliment: its deep storytelling flaws and monotony outweigh the too few likeable things it has to offer. Fair warning: there are minor spoilers ahead. 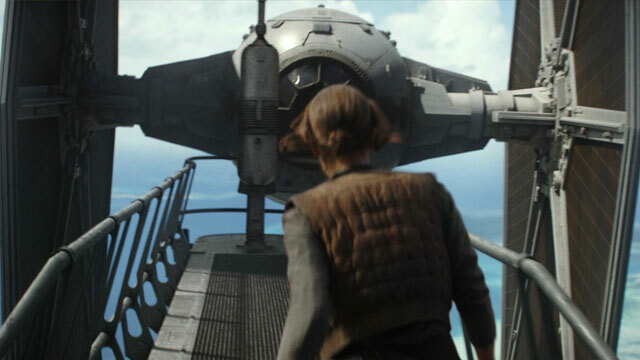 It’s difficult to look at Rogue One has a feature film without taking into consideration how the movie released is widely different than the one teased and the original screenwriter and director’s vision. 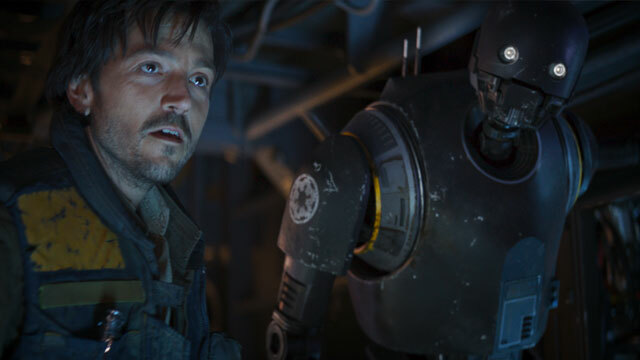 After viewing a first cut of the movie, Disney and Lucasfilm acknowledged tonality issues with the movie and hired a writer/director to do massive rewrites to such an extent that the reshoots took the length of the principal photography of most motion pictures. This being public, lowered my expectations when it comes to Rogue One; it didn’t impact my overall view on the movie but annihilated any pre-release hype, I might have. 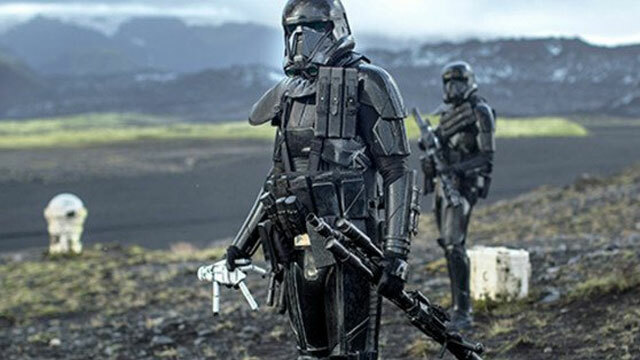 As always, from the death troopers to the storm trooper toy, the production design is stellar and a feast for the eyes. All the actors in the movie are great the problem comes from the very poor material they have to work with. Despite not being a lot in the movie, the little screen time the iconic character has is an absolute treat. If you want to know how memorable a movie is, ask people who’ve watched it what are the names of its main characters. 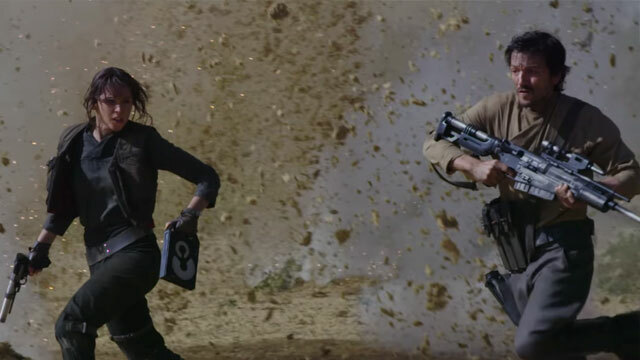 Very few people who have seen Rogue One will be able to name the two pictured above. 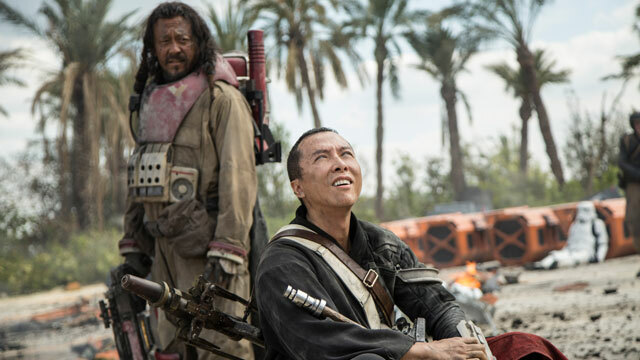 The main reason why Rogue One’s characters are not memorable is because they do not have any compelling story arc: all the characters and their plot lines are generic, boring, and flavourless. 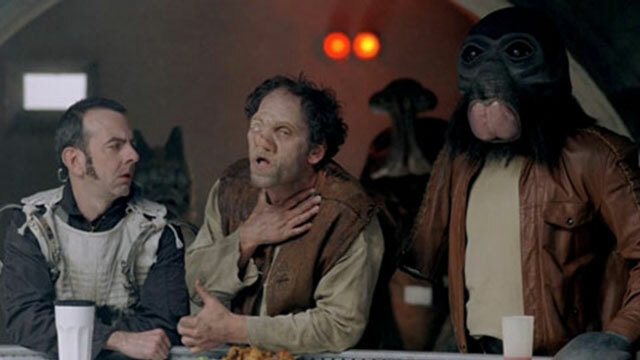 Like The Force Awakens, Rogue One is packed with cameos; however, here, the presence of obscure characters like Ponda Baba and Cornelius Evazan doesn’t bring anything to the movie. 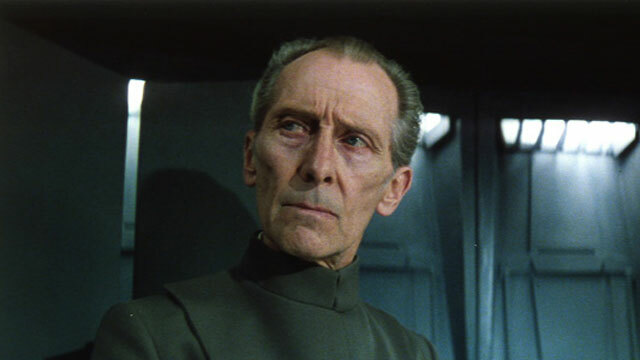 If most of the special effects are good, CGI characters look fake and plastic; the virtual Grand Moff Tarkin doesn’t have the acting chops of Peter Cushing. 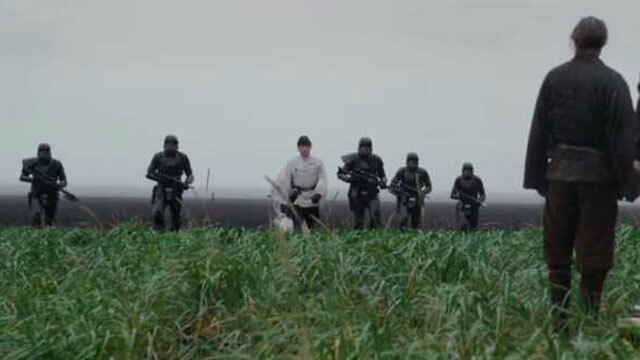 Rogue One portrays the Rebel Alliance has a bunch of terrorists for whom the end justifies the means, the manipulation and assassination of innocents justified. The vast majority of the film’s problems come from its abysmal, humorless, writing and its characters with no personality or development and jokes only coming from one character. 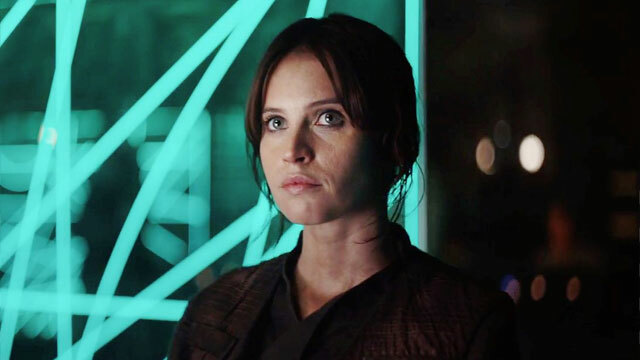 Rogue One has another thing in common with the Star Wars prequels: there are a lot of expositional dialogue that refers to events and places that sound a lot more interesting and compelling than the film’s story. 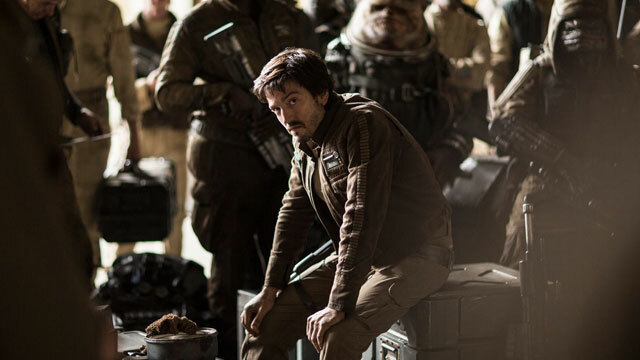 Why did Galen Erso defect? 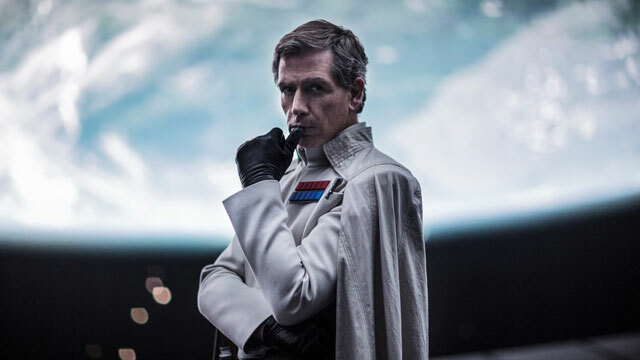 The movie starts with Krennic going to retrieve Galen Erso but we’ve never told why made Jyn’s father defected the Empire and what was the nature of the relationship between the two. 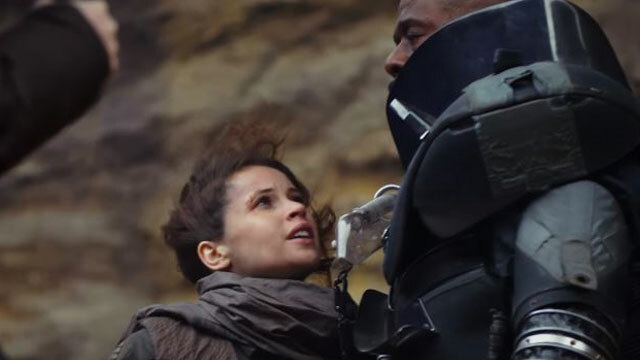 The movie talks about Jyn Erso being raised and having a close bond with Saw Gerrera but that is just a line of exposition in dialogue and is never explored or developed. 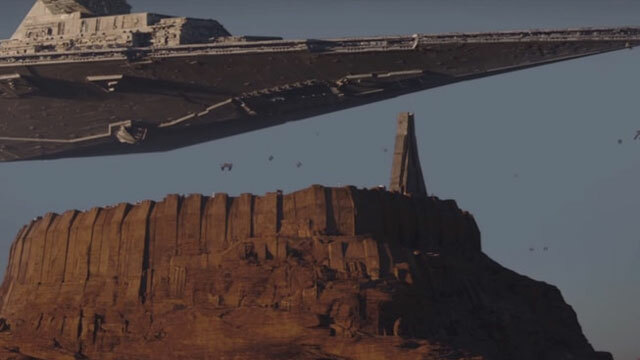 We are told some of the characters in Rogue One used to be guards or worshipers at the Jedi Temple on Jedha but we never see any of it and what we see of this moon is lackluster. 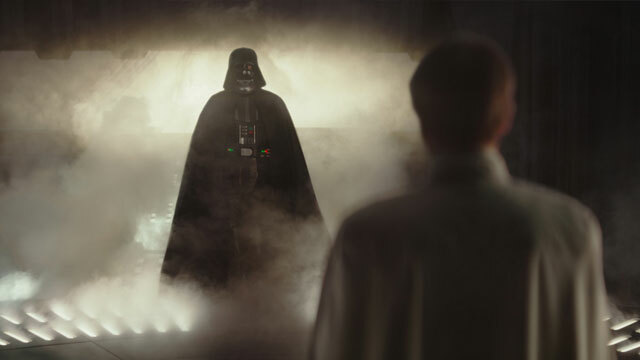 One of the biggest sins Rogue One does is not living up to its teaser trailer and by this I mean some of its most iconic moments aren’t even in the movie. 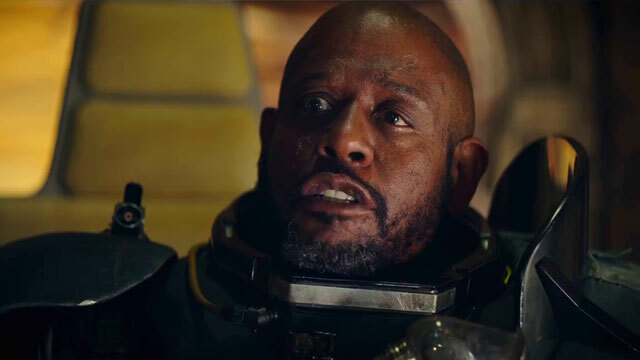 Forest Whitaker’s speech is missing. You won’t see that cool Tie fighter shot either. 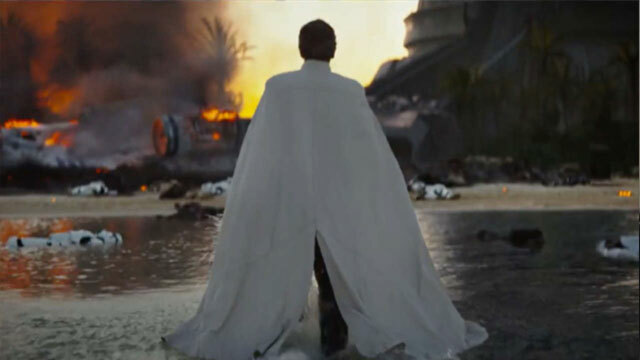 No long walk on the beach for Krennic. And no ground escape with the map.